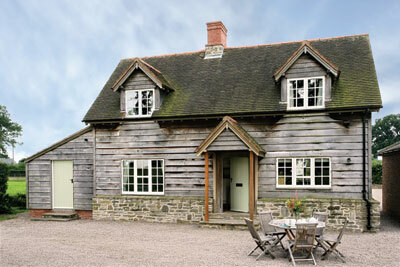 Bearwood House and Cottage are two of the most exclusive holiday properties in Herefordshire, England’s most rural county. They are fabulous half-timbered houses adjacent to one another. The house has large dining and sitting rooms that easily accommodate all 15 guests from both properties and booked together they are ideal for a large house party. It’s a wonderful place for a group of friends to get together or family celebration. Endless entertainment is provided and you shouldn’t have a dull moment. In the floodlit sunken garden there is a luxury hot tub for 6 people, perfect for relaxing in even on the coldest of winter’s evenings. The games room contains a pool table, table tennis table, air hockey table and darts board. Bicycles (including two tandems), croquet, badminton, boules and many other garden games are provided. There is a smart TV, Xbox 1S, a good selection of board games and a tennis court available for use anytime at the owners’ house nearby. The house and cottage are in a truly idyllic rural setting in grounds of more than an acre with an arboretum, sunken garden and loggia. The 15c New Inn, post office, delicatessen and farm shop are a mile away in the picturesque “black and white” village of Pembridge. The Michelin-starred Stagg Inn is within 15 minutes’ drive and Elizabethan town of Ludlow (famed for it’s restaurants) and Hay-on-Wye, home of the world famous literary festival are within 25 minutes’ drive. Golf at England’s highest golf course and flying lessons are nearby and numerous other outdoor pursuits are available – there is an endless choice, just click on the activities button in the side bar. 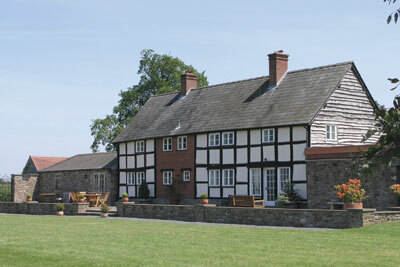 Whatever you’re interests we should have something for you – how about art or cookery classes in the morning, followed by a bicycle ride to a pub for lunch or cider tasting then quad biking or canoeing down the river Wye followed by a revitalising massage or relaxation in the hot tub finished off with dinner at a Michelin starred restaurant or cooked for you at home by a superb chef. It can’t get any better and we’ll even organise it all for you if you want!